HMC - Hydrolic Modules Corporation a Division of N.H. Yates & Co.
At Hydronic Modules Corp we are a single sourced solution for a wide variety of commercial and industrial heat transfer modules. Our professional engineering staff begins by designing an application that meets the unique specifications of your system. Then we get to work assembling your module using only quality components from the top manufactures in the world. . Please give us a little information about you & your company and someone will be in touch immediately to continue the registration. Thank you! Which Lunch & Learn Are You Interested In? 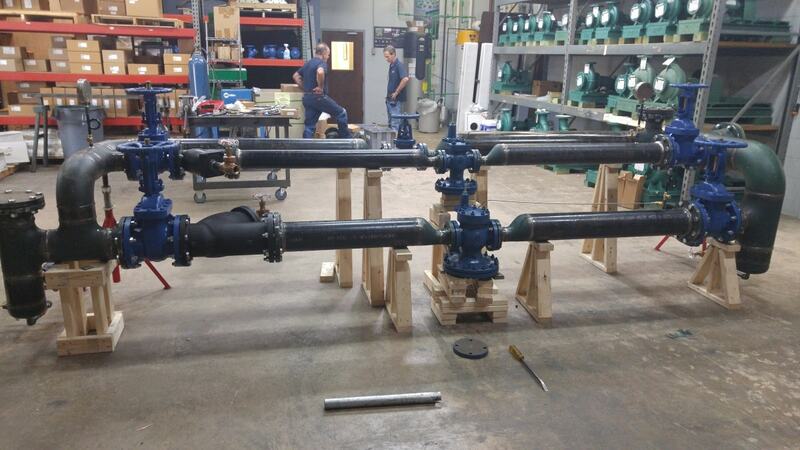 HMC offers custom prefabrication and engineered solutions to meet your heat transfer and pumping needs. Designing and assembling a custom heat transfer module to meet regulatory standards can be an expensive and time-consuming task. 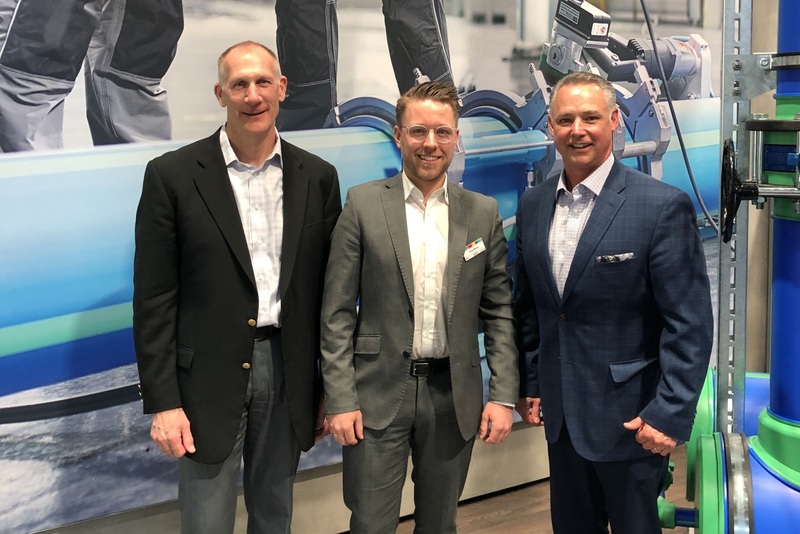 First, there’s the responsibility of choosing the correct parts from the myriad of options and coordinating delivery from multiple manufacturers. Then comes the difficult task of finding technicians with the skills necessary to design and build a module to meet your unique needs. And what if something goes wrong with the module in the future? Where did you purchase that part from? And who assembled it? At Hydronic Modules Corp we are a single-source solution for a wide variety of commercial and industrial heat transfer modules. Our professional engineering staff begins by designing an application that meets the unique specifications of your system. Then we get to work assembling your module using only quality components from the top manufacturers in the world. When the unit is complete we will ship it to your business or job site ready to be installed into your existing or new system. Completely assembled at our factory, ready for on-site installation. Custom designed to meet your individual applications. World class, factory calibrated components and state-of-the-art electronics. Third party certified in accordance with National Electrical Code (NEC) and UL 508 requirements. Prompt delivery, when you request it. HMC takes full responsibility for designing, purchasing, and assembling the components for each of our prepackaged heat transfer modules. 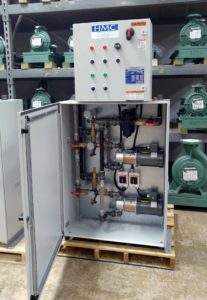 This includes the control panel, heat exchanger, steam trap and all gauges, valves, piping, pumps and a variety of other components necessary for your unique system. Don’t waste your precious time and resources searching for the parts and equipment necessary to build a custom heat transfer module that meets your needs. At HMC, pre-packaging custom heat transfer modules are what we do. Our team has the technical skills and know-how to efficiently build and deliver a unit to your business when you need it. You’ll receive only one invoice when the job is complete. HMC has been producing high quality packaged pumping systems since 1974. We manufacture all of our products with the finest components from the top manufacturers in the world. That’s why we have no problem standing behind our work. If you have any problems with your unit from HMC contact us and we’ll make it right.